Why Canada Might have the Goods to Become a Superpower (Audio) - Canada Immigration and Visa Information. Canadian Immigration Services and Free Online Evaluation. With only a quarter of the population of China, there is little possibility for the U.S. to continue its reign in the economic sphere unless China suffers a stunning collapse. However, during the next couple of centuries, Canada also has a surprisingly good chance of becoming an economic and cultural superpower. With a population of only 35 million (in 2015), a famously frigid climate and a below-replacement fertility rate, Canada would seem an unlikely candidate to become a superpower. But Canada has three fundamental strengths that will almost certainly make a difference in the long run: natural resources, good government and an almost unbelievably tolerant and open culture. In terms of natural resources, Canada is almost unmatched. In terms of renewable freshwater, Canada is exceeded only by the U.S. and Brazil. Its percentage of arable land, at 4.6 per cent, is relatively small, but this probably will increase as climate change proceeds and the glaciers retreat. Basically, there is room for a lot more people in Canada. 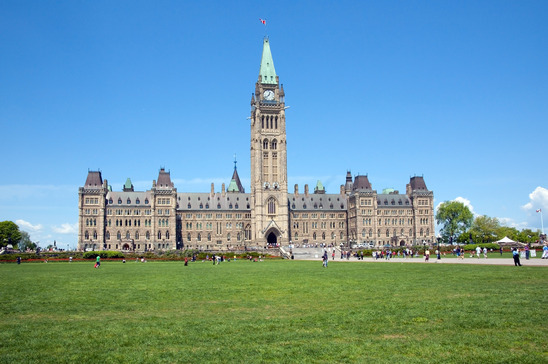 Good government is another hallmark of Canadian strength and according to Transparency International, Canada regularly ranks in the top 10 least-corrupt countries in the world. This is especially impressive given Canada’s rich endowment of fossil fuels, which usually causes countries to become more corrupt — a phenomenon known as the Resource Curse. It is probably because of these high-quality institutions that Canada was able to implement universal health care. Universal health care definitely requires that citizens trust their government. In a country as diverse as Canada, attaining a level of public trust equivalent to that received by the ethnically homogeneous countries of Europe is quite a feat. Canada’s strong institutions have allowed it to implement less controversial economic policies, such as a low corporate tax rate (15 per cent, compared with the U.S.’s 35 per cent). However, Canada’s immigration policy is its biggest win. Unlike U.S.’s immigration system which focuses on family reunification, Canada focuses on recruiting the best and the brightest economic immigrants. Canada now has a net annual immigration rate of about 0.57 per cent of its population, which has declined during the past decade. This corresponds to about a quarter-million immigrants a year. But with its strong record of assimilation, and a change in government policy, and increased resources to such programs, Canada might be able to increase this rate. With climate change making the country less frigid, Canada will certainly become a more attractive destination. Even though it may be centuries before Canada competes with the likes of the U.S. in terms of total population, since it is starting from such a low base, in terms of an educated, high-skilled population, Canada may soon become pre-eminent. What would the rise of Canada mean for geopolitics and global culture? Canada is one of the world’s freest countries, an unflagging supporter of tolerance, openness and human rights. Its immigration program could make it one of the world’s most multiracial countries.